43rd Annual Vermont Jazz Center Summer Jazz Workshop: 4 p.m. The Putney School, 418 Houghton Brook Rd., Putney. Berkshire High Peaks Music Festival: $12 – $50. The Berkshire School, 245 N. Undermountain Rd., Sheffield. 800-843-0778. cewmusicinfo@aol.com. Plainfield Concert Series: 7 p.m. Free. Donations are accepted. Plainfield Congregational Church, 356 West Main St., Plainfield. 413-634-0025. spearsonbooks@gmail.com. Monday Night Music – The Unheard: 7 p.m. – 7:45 p.m. Tilton Library, 75 N. Main St., South Deerfield. Hatchery Teen Dance Festival: 10 a.m. – 3 p.m. $15 – $27. Dance for teens? Come to the Hatchery dance company summer festival. Dance, perform, learn and have fun! STUDIO4, 25 Main St., Northampton. jenscdt@gmail.com. 3 Duos: Austin & Elliott, Lisa Bastoni and Sean Staples, and Ordinary Elephant: 8 p.m. – 10 p.m. 3 dynamic, award-winning duos mix harmonies, steel strings, and storytelling. Original songs, new traditional styles, & high energy acoustic music. $0 – $10. Hawks & Reed (in the Wheelhouse), 289 Main St., Greenfield, Greenfield. 781-690-6617. ctesongs@gmail.com. Boston Symphony Orchestra: Tanglewood on Parade: 12 p.m. – 10 p.m. Tanglewood Music Festival, 297 West St., Lenox. Northampton Jazz Workshop: 7:30 p.m. – 10:30 p.m. $5. Boston based vocalist Cindy Scott and guitarist Brian Seeger will perform with the Green Street Trio followed by an open jazz jam session. City Sports Grille, 525 Pleasant St., Northampton. paulphiliparslanian@gmail.com. 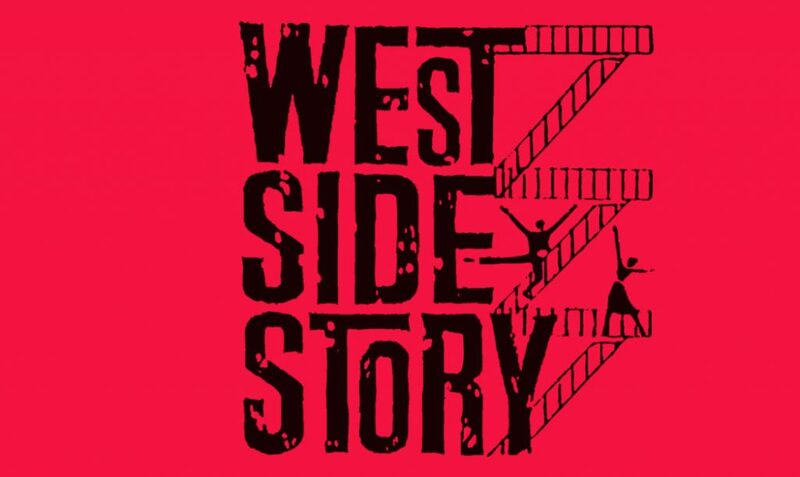 West Side Story: 7 p.m. Boyd-Quinson Mainstage, 30 Union St., Pittsfield. All Ages Open Mic Night With Host F. Alex Johnson: 7 p.m. – 10 p.m. Award winning guitarist F Alex Johnson hosts this weekly open mic featuring some of the best talent in the valley. All ages, free and open to all. Brew Practitioners, 36 Main St., Florence. 413-584-2444. info@colorwaymusic.com. Classical and Jazz Guitar: 7 p.m. – 9 p.m. Free. The Taproom Hadley, 1 Mill Valley Rd., Hadley. Jjewellmd5@gmail.com. Creacion Latin Big Band: 7 p.m. 20-piece big band w/ Frances Rahaim plays salsa, cha cha, boogaloo, merengue, cumbia, son, bolero. Open dance floor! every 1st and 3rd Wednesday. Hawks & Reed, 289 Main St., Greenfield. hawksandreed.com. Hip Hop Night with Crazefaze dance crew: 7 p.m. The event is free; lessons cost $10 for adults or $5 for youth. Support local hip hop! Beginner-intermediate hip hop classes from 7–8 p.m. All ages. Hawks & Reed, 289 Main St., Greenfield. hawksandreed.com. Irish Slow Session: 6:30 p.m. – 9 p.m. Free; suggested $5 donation. DeCice Hall at The Marian Center, 1365 Northampton St., Holyoke. lvirishslowsession@aol.com. M.O.D. (Molly On Drums): Echo Restaurant & Lounge, 73 Main St., Brattleboro. Open Mic at The Harp: 7 p.m. – 10 p.m. Free. The Harp irish Pub, 163 Sunderland Rd., North Amherst. dalereynolds@live.com. Sharon Shannon: 7 p.m. Iron Horse Music Hall, 20 Center St., Northampton. Shelburne Falls Military Band Summer Concerts: 7 p.m. – 8:30 p.m. Greenfield. Southampton Summer Concerts: 7 p.m. – 8:30 p.m. Free. Conant Park Pavilion, 38 East St., Southampton. debdamico@charter.net. Wednesday Tunes Series: Emily Parasiliti: 7 p.m. – 9 p.m. The Wednesday Tunes Series features free live music by local Western Mass musicians on select Wednesdays. . Gateway City Arts, 92 Race St., Holyoke. 413-650-2670. hello@gatewaycityarts.com. Wheelhouse Karaoke: 8 p.m. Your favorite place to sing your favorite classics! Hawks & Reed Performing Arts Center, 289 Main St., Greenfield. hawksandreed.com. We the People: 8 p.m. Double Edge Theatre presents indoor/outdoor traveling summer spectacle. Double Edge Theatre, 984 Conway Rd., Ashfield. doubleedgetheatre.org. Dangerous House: Williamstown Theatre Festival, Williamstown. The Little Mermaid: Presented by PaintBox Theatre at Easthampton Bandshell: 10:30 a.m. – 12:30 p.m. $7. Easthampton Bandshell, 2 Ferry St. along the Manhan Rail Trail, Easthampton. Live from The Guthrie Center: Talkin’ Shenandoah: 7:30 p.m. – 9:30 p.m. $150. The Guthrie Center, 2 Van Deusenville Rd., Great Barrington.